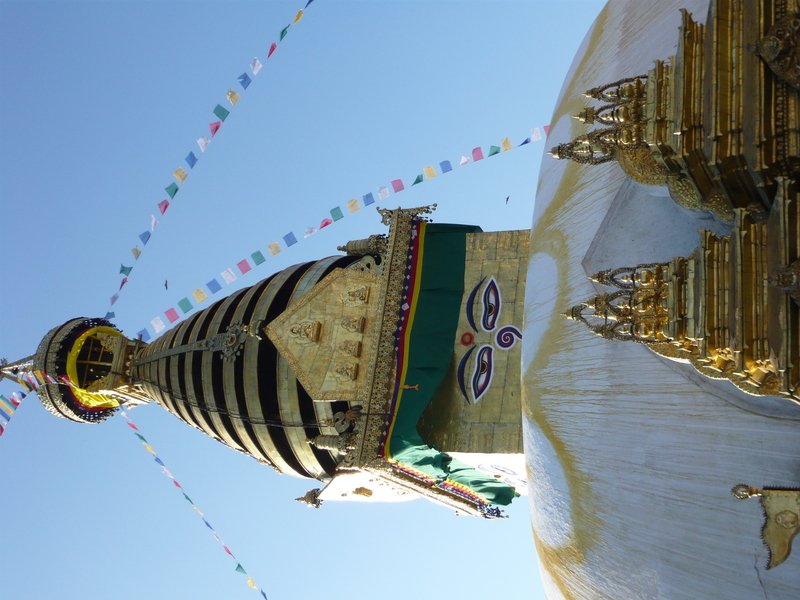 Photo taken of Swayambhunath (or “Monkey Temple”) Kathmandu, Nepal in November 2010. I hired a guide to see some of the top sites in Kathmandu before heading back to the States. One of my favorites was Monkey Temple. As you climb up to the temple which overlooks the entire sprawling city of Kathmandu, there are indeed monkeys. Lots of them. The views on top of this sacred place are breathtaking and the colors of the temple blow you away. Definitely worth a visit! Gorgeous photo Nicole! I’ve always wanted to go to Nepal but still haven’t made it there.